Salt-glazed stoneware with cobalt glaze and white enamel decoration. 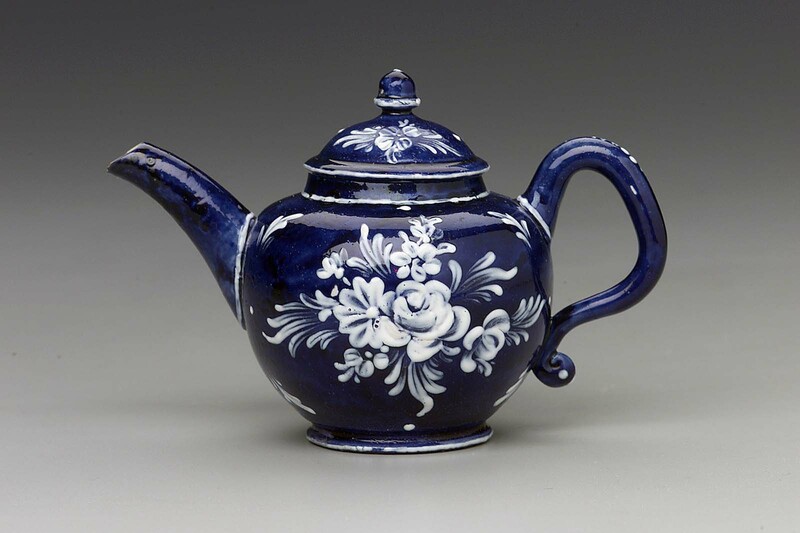 Teapot has a globular body; its domed lid has an acorn finial and a slightly flared edge. Hand-rolled ear-shaped handle and everted foot. Exterior is coated in cobalt-blue glaze (“Littler’s blue”) with painted white enamel floral sprigs on either side of the body. What painted dots along handle. Similar decoration on lid.